Inessa Armand, the daughter of a comedian and singer, was born in Paris on 8th May, 1874. Her mother was a musician who gave singing and piano lessons. Inessa's father died when she was only five and she was brought up by an aunt living in Moscow. At the age of eighteen she married Alexander Armand, the son of Evgenii Armand, a successful textile manufacturer in Pushkino. The couple moved to Moscow and over the next few years had five children. Together they opened a school for peasant children. She also joined a charitable group helping destitute women in Moscow. Inessa was greatly influenced by her brother-in-law, Boris Armand. He took the side of the men who worked in his father's factory, and tried to organize them during an industrial dispute. When the authorities refused her permission to establish a Sunday School for working women, Armand began to question what social reformers could achieve in Russia. In 1903 she joined the illegal Social Democratic Labour Party. In 1904, at the age of thirty, Inessa left her husband and went to Sweden to study feminism under Ellen Key. During this period she began reading the works of revolutionary leaders in Russia such as Lenin and Leon Trotsky. As a result she joined the Bolsheviks and after being arrested in June, 1905. However, the October Manifesto of Tsar Nicholas II contained an amnesty provision for political prisoners which released her. On 9th April, 1907, Inessa was arrested for distributing illegal propaganda. She was found guilty and was sentenced to two years internal exile in Siberia. She managed to flee abroad before her term was quite over. 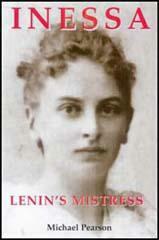 In 1910 she settled in Paris where she met Lenin, Gregory Zinoviev, Lev Kamenev and other Bolsheviks living in exile. In 1911 Armand became secretary for the Committee of Foreign Organizations established to coordinate all Bolshevik groups in Western Europe. According to Nadezhda Krupskaya: "She (Inessa) was a very ardent Bolshevik and soon gathered our Paris crowd around her." Inessa became very close to Lenin. According to Bertram D. Wolfe, the author of Strange Communists I Have Known (1966): "She had a wider culture than any other woman in Lenin's circle (at least until Kollontay became an adherent of his during the war), a deep love of music, above all of Beethoven, who became Lenin's favorite too. She played the piano like a virtuoso, was fluent in five languages, was enormously serious about Bolshevism and work among women, and possessed personal charm and an intense love of life to which almost all who wrote of her testify." Others like Angelica Balabanoff thought that she became too much a follower of Lenin: "I did not warm to Inessa. She was pedantic, a one hundred per cent Bolshevik in the way she dressed (always in the same severe style), in the way she thought, and spoke. She spoke a number of languages fluently, and in all of them repeated Lenin verbatim." Armand returned to Russia in July, 1912, to help organize the Bolshevik campaign to get its supporters elected to the Duma. Two months later she was arrested and imprisoned for six months. 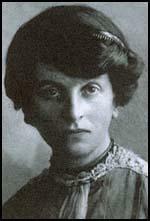 On her release in August, 1913, she went to live with Lenin and Nadezhda Krupskaya in Galicia. According to Angelica Balabanoff, Inessa and Lenin were lovers: "Lenin loved Inessa. There was nothing immoral in it, since Lenin told Krupskaya everything. He deeply loved music, and this Krupskaya could not give him. Inessa played beautifully his beloved Beethoven and other pieces... He had had a child by Inessa." This story is also supported by the testimony of Alexandra Kollontai. Nadezhda Krupskaya wrote about her relationship with Inessa Armand in her book, Reminisces on Lenin (1926): "In the autumn (of 1913) all of us became very close to Inessa. In her there was much joy of life and ardor. We had known Inessa in Paris, but there was a large colony there. In Krakow lived a small closely knit circle of comrades. Inessa rented a room in the same family with which Kamenev lived... It became cosier and gayer when Inessa came. Our entire life was filled with party concerns and affairs, more like a student commune than like family life, and we were glad to have Inessa... Something warm radiated from her talk." On the outbreak of the First World War Lenin sent Inessa Armand to the International Socialist Bureau conference in Brussels "to do battle with such large figures" such as Karl Kautsky, Rosa Luxemburg, George Plekhanov, Leon Trotsky, Julius Martov, Emile Vandervelde and Camille Huysmans. As Bertram D. Wolfe pointed out: "He counted on her mastery of all the languages of the International, her literal devotion to him and his views, her steadfastness under fire." Inessa joined with Alexandra Kollontai and Nadezhda Krupskaya as joint editors of Rabotnitsa (The Women Worker). In March 1915 she attended the Conference of Socialist Women held in Berne. In September of that year she was a delegate at the Zimmerwald Conference. During these meetings she got to know other European socialists such as Pavel Axelrod, Karl Liebknecht, Rosa Luxemburg, Clara Zetkin, Margaret Bondfield, Angelica Balabanoff, Ture Nerman, Fredrik Ström, Zeth Höglund and Kata Dalström. 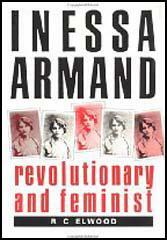 During the First World War Inessa Armand began work on a pamphlet on the role of women in a communist society. She sent a draft to Lenin and in a letter he wrote in December 1916 criticizing her work: "You must select another term, for free love does not exactly express this thought... it is not a proletarian but a bourgeois demand.... It is a matter of the objective logic of class relations in matters of love... Do you reject that? Then tell me what bourgeois ladies do understand by free love? Don't literature and life prove that? You must mark yourself off clearly from them, oppose to theirs the proletarian point of view." The pamphlet was never published. After the October Revolution Armand served as an executive member of the Moscow Soviet. Armand was a staunch critic of the Soviet government's decision to sign the Brest-Litovsk Treaty. In February, 1919, Armand was part of the Russian Red Cross Mission to repatriate Russian prisoners of war. According to Bertram D. Wolfe: "The descriptions of her dating from this period agree that she dressed plainly, carelessly, even neglectfully, in worn and shabby garments; that she was ill fed, often cold and hungry; that her face had begun to show the ravages of overwork and neglect of self. At last, her friends and comrades, frightened by the signs of physical breakdown, persuaded her to go to the Caucasus for a rest. There too was hunger, overcrowding, floods of refugees, civil war, breakdown, disease. She slept in freight cars, was carried from town to town, and nursed the sick on the train." Angelica Balabanoff recorded that: "Lenin was utterly broken by her death... He was plunged in despair, his cap down over his eyes; small as he was, he seemed to shrink and grow smaller. He looked pitiful and broken in spirit. I never saw him look like that before." Alexandra Kollontai added: "He was not able to go on living after Inessa Armand. The death of Inessa hastened the development of the sickness which was to destroy him." Those who knew her then remember her somewhat strange, nervous, slightly asymmetrical face, unruly, dark chestnut hair, great hypnotic eyes, and inextinguishable ardor of spirit. She had a wider culture than any other woman in Lenin's circle (at least until Kollontay became an adherent of his during the war), a deep love of music, above all of Beethoven, who became Lenin's favorite too. She played the piano like a virtuoso, was fluent in five languages, was enormously serious about Bolshevism and work among women, and possessed personal charm and an intense love of life to which almost all who wrote of her testify. When Lenin met her, she had just turned thirty-six. We were terribly glad... at her arrival. . . . In the autumn (of 1913) all of us became very close to Inessa. In her there was much joy of life and ardor. We had known Inessa in Paris, but there was a large colony there. In Krakow lived a small closely knit circle of comrades. Inessa rented a room in the same family with which Kamenev lived.My mother became closely attached to Inessa. Inessa often went to talk with her, sit with her, have a smoke with her. It became cosier and gayer when Inessa came. Our entire life was filled with party concerns and affairs, more like a student commune than like family life, and we were glad to have Inessa... Something warm radiated from her talk. Ilyich, Inessa, and I often went on walks together. Zinoviev and Kamenev dubbed us the "hikers" party. We walked in the meadows on the outskirts of the city... Inessa was a good musician, urged us all to go to Beethoven concerts, and played very well many of Beethoven's pieces. Ilyich especially loved Sonate Pathetique, constantly begging her to play it. Clowns! They chase after words. Don't think how devilishly complicated and tricky life is which pro¬vides altogether new forms.... People for the most part (99 per cent of the bourgeoisie, 98 per cent of the Liquidators, some 60 to 70 per cent of the Bolsheviks) are unable to think, only able to learn words by heart. They have learned by heart the word "underground." Good. They can repeat it. This they know by rote.But how its forms must be changed under new circumstances, how one must learn anew for this, and how to think, that we do not understand. I am greatly interested in knowing whether you could explain this to the public. Write me in the greatest detail. (1) Freedom from material calculations in the matter of love? (2) From material cares also? (3) From religious prejudices? (4) From prohibitions by papa, etc.? (5) From the prejudices of "society"? (6) From a narrow environment (peasant or petit-bourgeois intellectual )? ( 7) From the fetters of law, the courtroom, and the police? (8) From the serious in love? (9) From childbirth? (10) Freedom of adultery? Good, let us examine the question once more.... You "object": (you say) "I don't understand how it is POSSIBLE to identify (!!??) free love" with No. 10. So it seems that it is I who do the "identifying" and you are getting ready to scold... me? How? Why?Bourgeois women understand by free love pts. 8-10 - that is my thesis. Do you reject that? Then tell me what bourgeois ladies do understand by free love? Don't literature and life prove that? You must mark yourself off clearly from them, oppose to theirs the proletarian point of view.... Otherwise they will seize upon the corresponding points of your pamphlet, interpret them in their own way, make of your pamphlet water for their mill, pervert your thoughts before the workers, "confuse" the workers (by sowing among them the fear that the ideas you bring may be alien to them). And in their hands are the powerful hosts of the press. But, you, completely forgetting the objective and class point of view, pass over to an "attack" on me, as if it were I who "identify" free love with pts 8-10. Strange, verily, verily, strange..."Even a temporary passion and love affair" - so you write-is "more poetical and clean" than "kisses without love" of vulgar, and worse than vulgar, spouses. So you write. And so you are getting ready to write in your pamphlet. Splendid. Lenin loved Inessa. There was nothing immoral in it, since Lenin told Krupskaya everything. He deeply loved music, and this Krupskaya could not give him. Inessa played beautifully his beloved Beethoven and other pieces.He sent Inessa to the Youth Conference of the Zimmerwald Group - a little old, but she had a credential from the Bolsheviks and we had to accept it. He did not dare to come himself, sat downstairs in a little adjacent cafe drinking tea, getting reports from her, giving her instructions... When Inessa died, he begged me to speak at her funeral. He was utterly broken by her death. She died miserably of typhus in the Caucasus. I did not want to speak because I did not feel close to her nor really know her well. Yet I did not want to refuse. Fortunately, at the last moment, Kollontay arrived, and delivered a moving address. I cast sidelong glances at Lenin. He was plunged in despair, his cap down over his eyes; small as he was, he seemed to shrink and grow smaller. He looked pitiful and broken in spirit. I never saw him look like that before. It was something, more than the loss of a "good Bolshevik" or a good friend. He had lost some one very dear and very close to him and made no effort to conceal it.He had had a child by Inessa. She married the German communist, Eberlein, who was purged by Stalin. What happened to Lenin's daughter then I do not know.